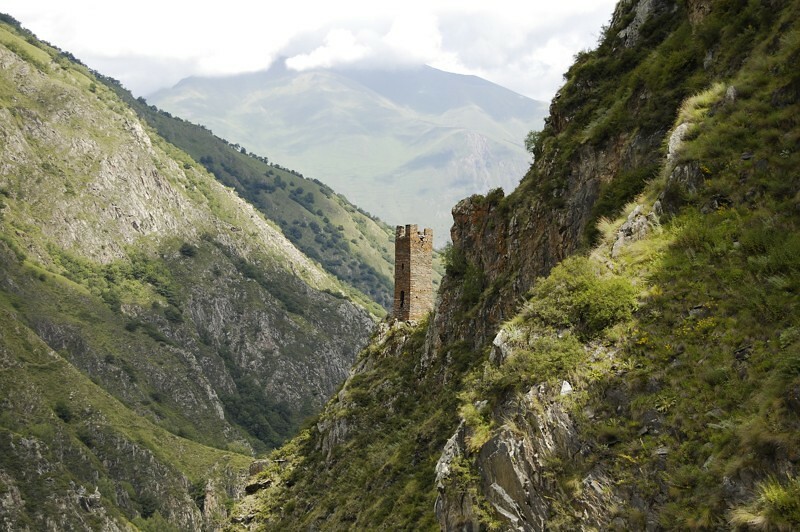 The Caucasus mountains have been always a land of warriors and survivors. 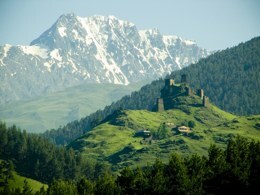 Highlanders not only have to endure severe winters in remote villages, remaining cut off from the rest of the world. 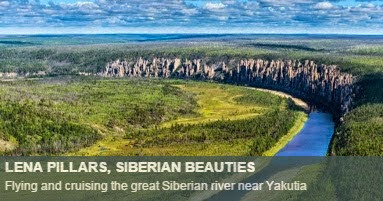 In addition, for centuries many armies and empires made their way through these valleys, nested in the border between Asia and Europe. But the inhabitants of these journeyed areas, instead of building castles and citadels, they organized themselves in a different way. 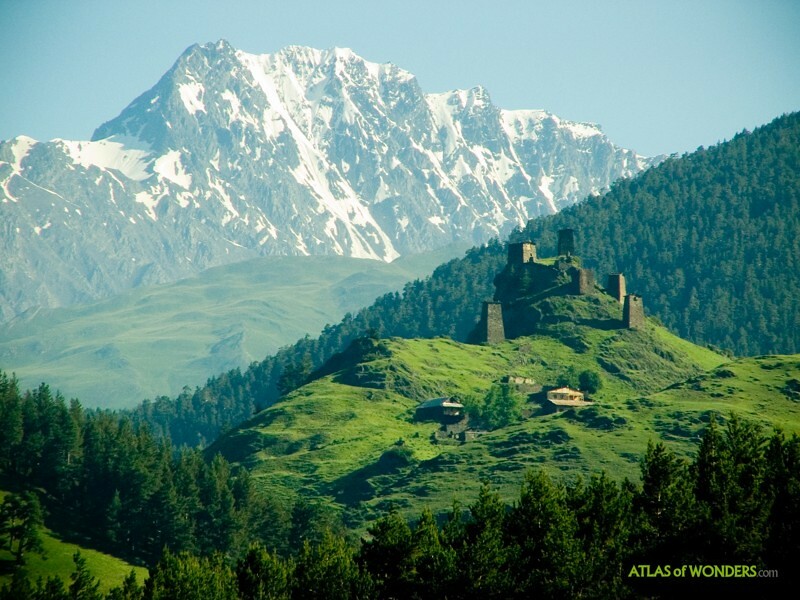 Every household erected its own fortified tower. 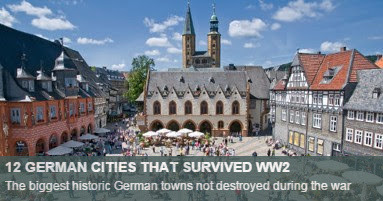 This may be because the villagers also had to cope with a closer lethal enemy: their own neighbors. Blood feuds between families used to be the order of the day. 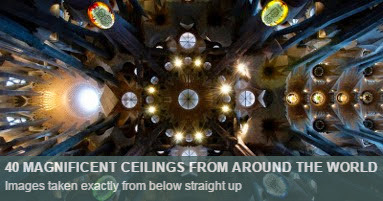 More or less as it happened in the Italian town of San Gimignano, that still preserves a dozen of its tower houses. So in case of conflict, clan members ran to lock themselves in the family's bastion. 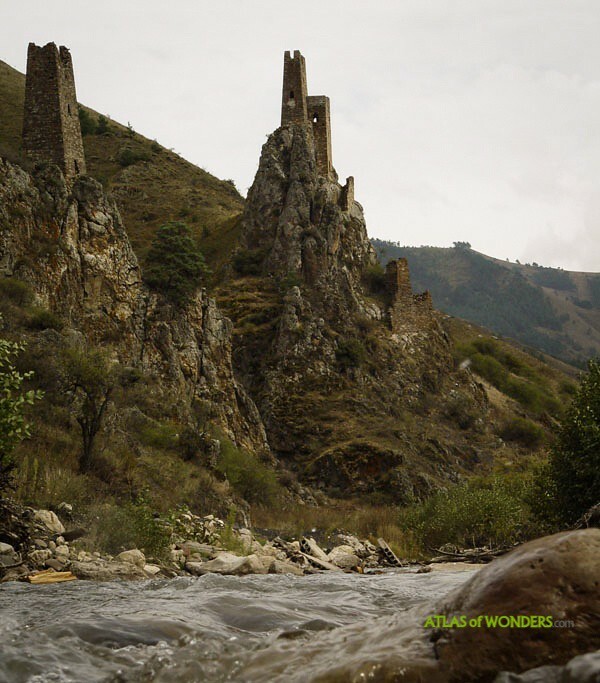 All these circumstances produced a fantastic defensive architecture specialized in building towers, that we can find in Georgia and in the Russian Republics of Ingushetia and North Ossetia. 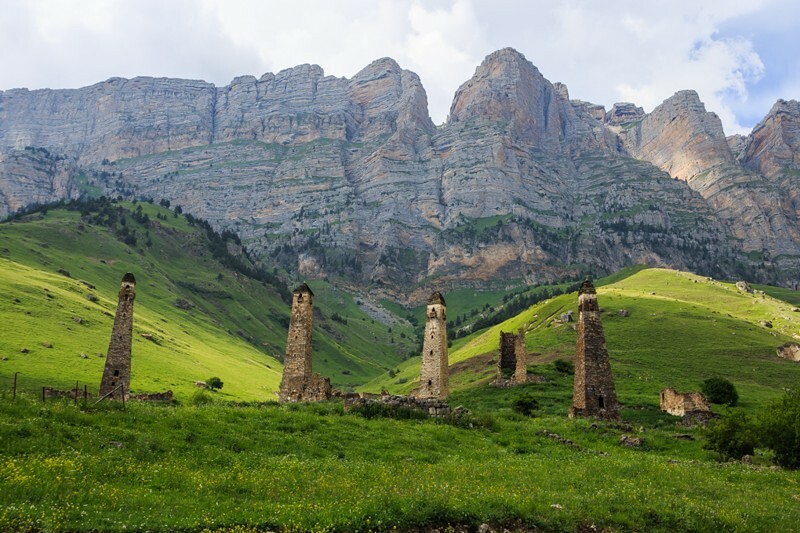 Also in Chechnya and Dagestan are hundreds of these tall strongholds, often surrounded by spectacular scenery. 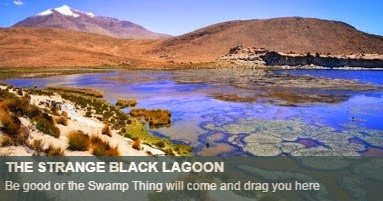 You can find a map with some of the locations at the end of this post. 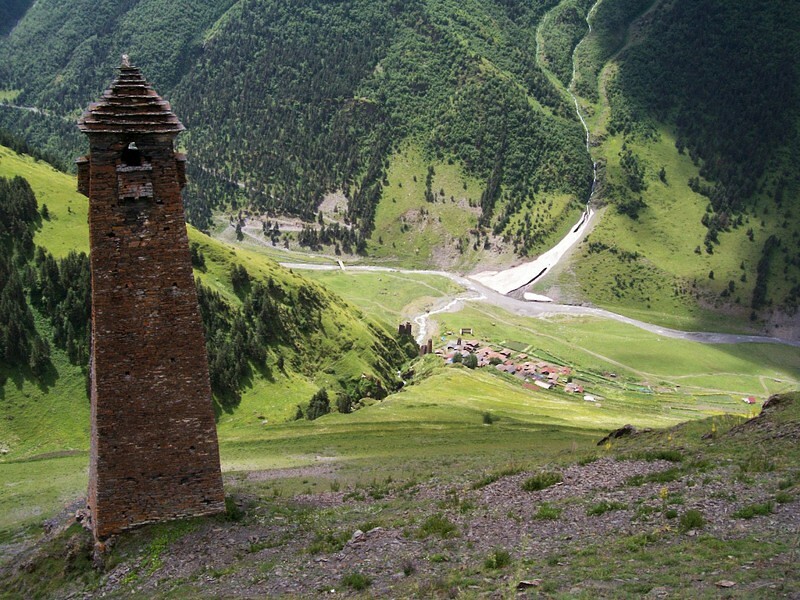 Shatili is already a popular destination for mountain trekkers and tourists in general. The access to the towers used to be in the second floor. The ground floor was filled in with earth and stone to protect the tower bottom against ramming. 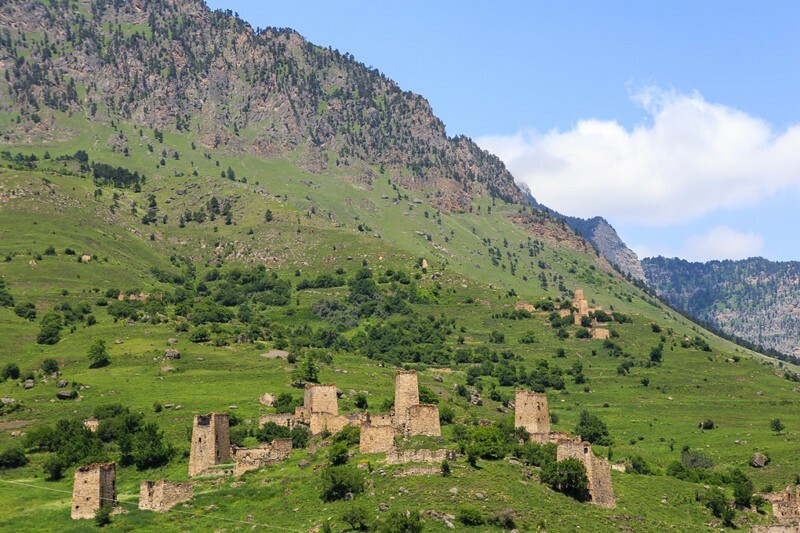 Lenjeri is a village with many Svan towers, just before to arrive to the capital and touristic hub of Mestia. 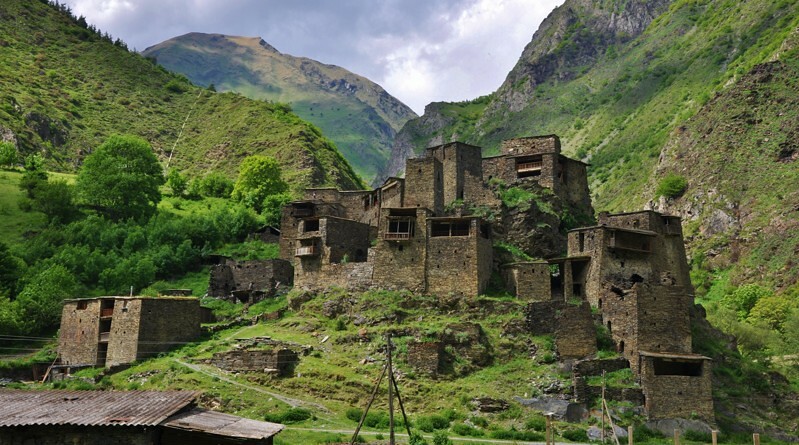 Postcard from Mestia. 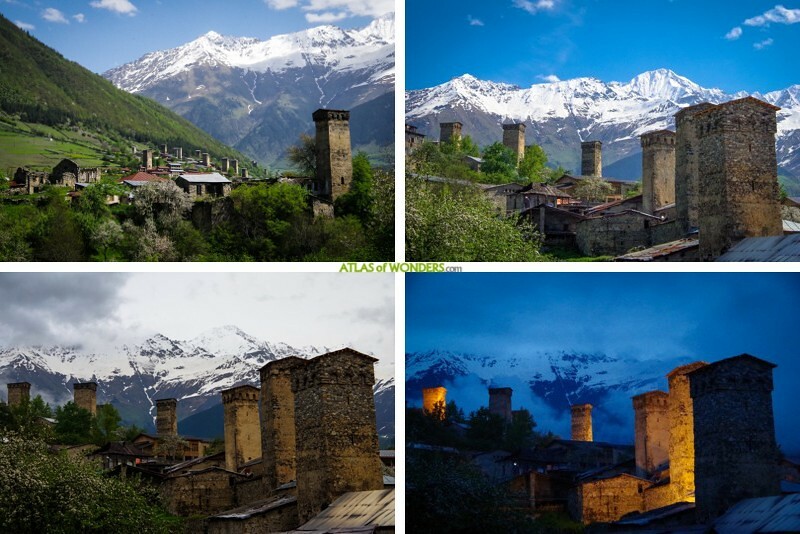 The Upper Svaneti region is an UNESCO World Heritage site since 1996. 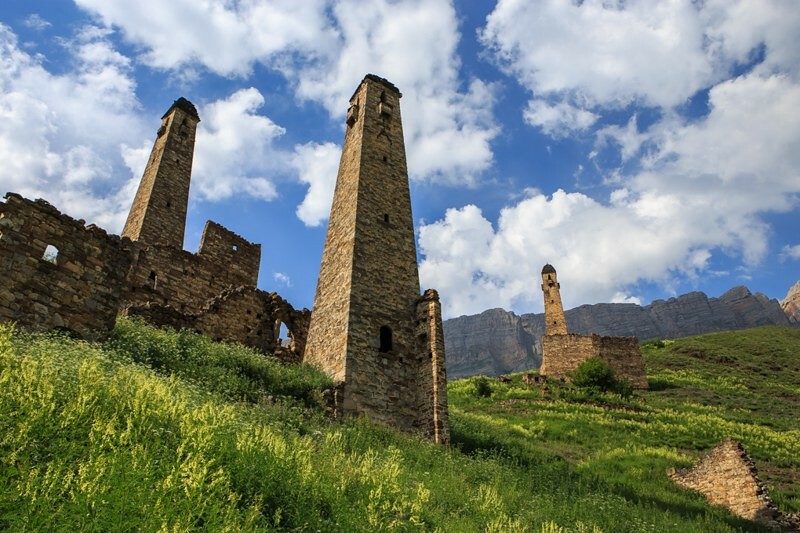 In times of war, many valuables from the rest of Georgia were taken here to safeguard the national heritage. 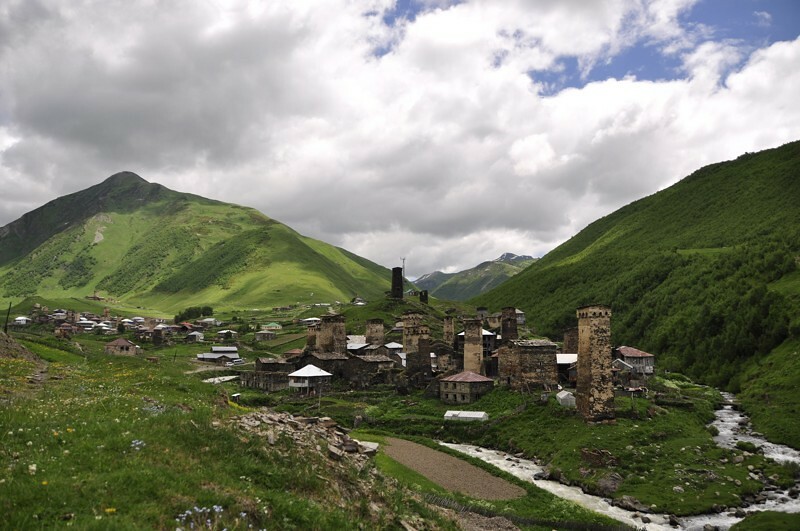 The long period of political instability in Ingushetia (war next door in Chechnya, poverty, corruption, etc.) 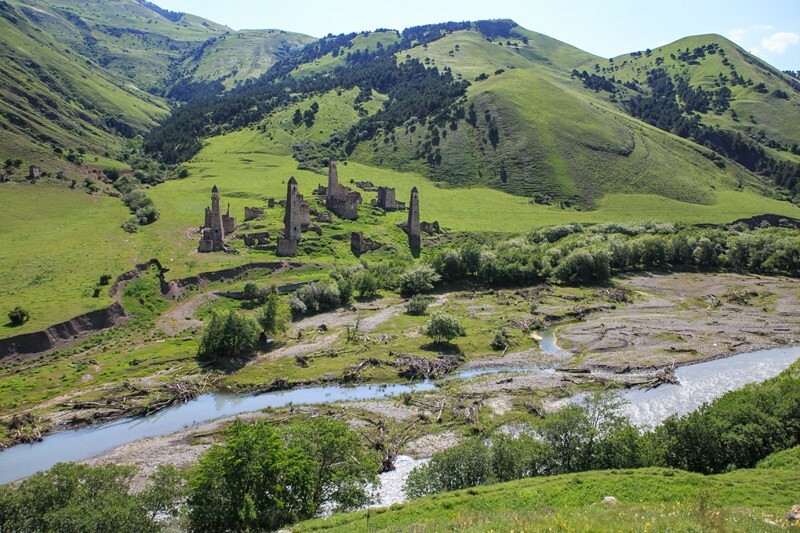 helped to preserve the beauty of places like Targim (pictured), practically in its original state. 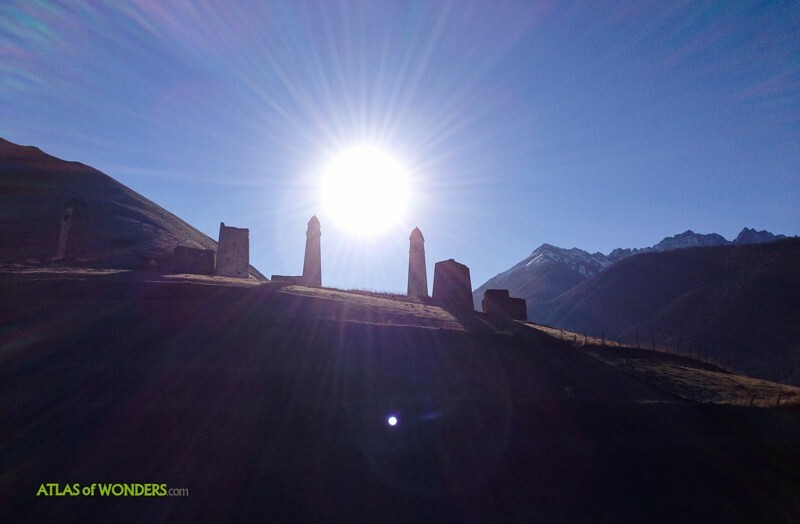 At dawn, two battle towers in Erzi hold the sun like a cosmic gong. 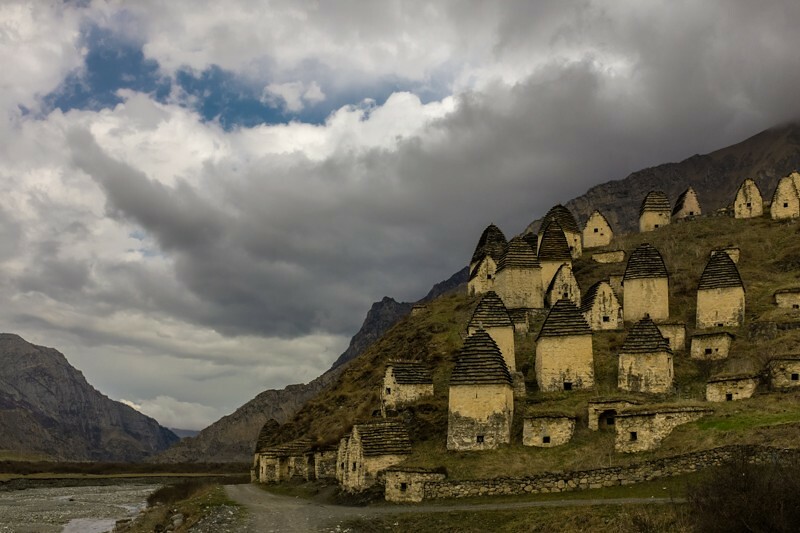 Finally we would like to include a peculiar village of 99 houses shaped like small towers, built to entomb the dead.